This week I have the privilege of hosting Kitchen Tip Tuesday, typically a feature over at Tammy’s Recipes. How fun! 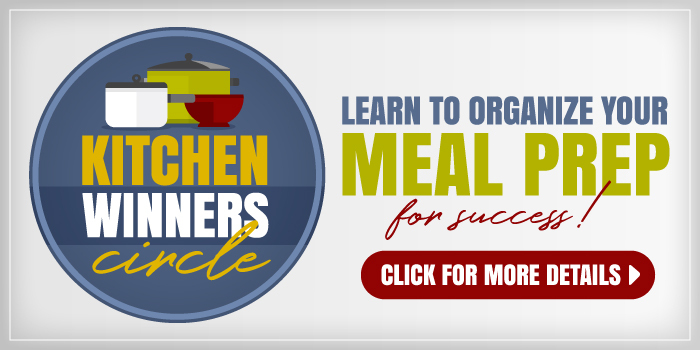 Join us as we share tips to make life in the kitchen a little easier. One of my larger goals for the year is to reduce the clutter in our home and reorganize what stays so that it really serves our family and how we really live. I’m going on Zone Defense, actually, and working room by room to get life in better working shape. While the kitchen isn’t on the schedule until a few months from now, the Pantry Challenge I’ve been doing this month is helping me think about better ways to organize my kitchen. I’ve worked through my food storage this month reorganizing and decluttering so that I had a better idea of what there was to eat in the house. 1. Store things in close proximity to where you use them. I love this idea and whenever I walk halfway across the kitchen for something, I’m reminded that whatever item I am fetching probably needs to move its location. 2. Arrange like with like. This is so helpful to find anything from your baking pans to your canned beans. Arrange like with like so you know where everything is and how many you actually have. 3. Label shelves or canisters as needed. I’m horrendous at not labeling freezer meals or canisters of flour. Correction. I used to be. But, I think that with this Pantry Challenge I’ve finally learned my lesson. No mysteries! Labeling is a great way to free up extra space in my head — and to make it easier for others in the family to cook because they can find ingredients without opening every cupboard. 4. 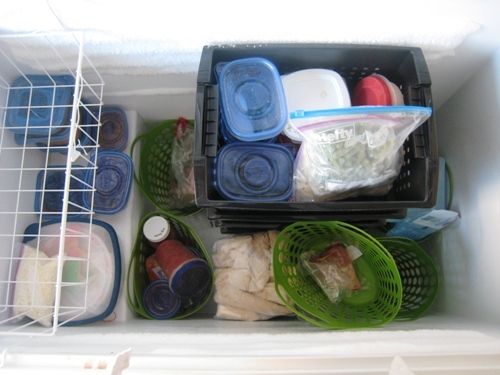 Organize a deep freeze with color coded plastic crates or canvas bags. Once I shared my freezer organization, y’all taught me a thing or two. I never thought about using canvas grocery bags. Brilliant! And to color code them according to contents? Brilliant once again. I may have to revisit my system to make it easier to find the chicken or the frozen squash. For now, I may need to move all my meats to black crates and all my vegetables and fruits to plastic baskets. 5. A place for everything and everything in its place. Most of our problems with disorder is that we don’t have a regular place to store things. Many commenters lamented not having a designated spot for things in the refrigerator. I think this is a really good way to help you cook. If you can’t find an ingredient, cooking definitely becomes a chore. Got a Kitchen Tip to Share? 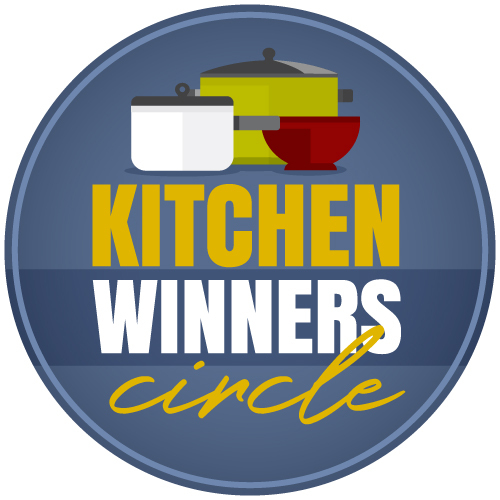 Post a kitchen tip on your blog. Link to this post, and then leave your link here, so we know where to find YOU! 🙂 No giveaways or non-tip posts, please! You can also tell us about the tip in the comments. 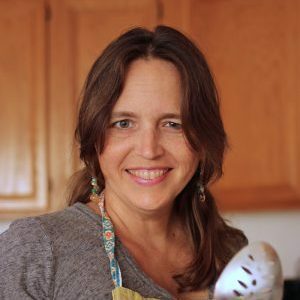 Next Tuesday, KTT will be back at Tammy’s Recipes. Great organization tips! Thanks for hosting. I linked up a post that describes the building blocks for making homemade soup. You might already know this tip, but instead of using labels I keep a dry-erase marker in the kitchen and write directly on the container or lid. It wipes easily off of glass, metal and most plastic (some of those nubbly-textured plastic lids are the exception to this). Saves me time- no need to create a label. I actually use a sharpie. It washes off plastic and glass. 🙂 I guess when I say “label” I also mean “to label” it in some way. So I don’t need to make multiple trips to the pantry I have a small basket with “the basics” that I can just grab when baking: oil; baking powder, baking soda, vanilla, measuring cups and spoons. Begone duplicates! Do I really need 10 water bottles for 4 people? Multiple sets of measuring spoons & cups? 2 hand mixers and a stand mixer? A bread machine I use once a year? A hand chopper and a food processor? 10 diff kinds of cupcake liners? All those cookbooks with post its and dog eared pages? Copy the recipes u like, throw them in a binder with plastic sleeves and ditch all the cookbooks! Too much stuff! Thank you for hosting Kitchen Tip Tuesday for Tammy! This is my first time linking up to Kitchen Tip Tuesday! I’m talking about two inexpensive thermometers that saved my baking. Thanks for hosting!